So that is what this comic is based on. 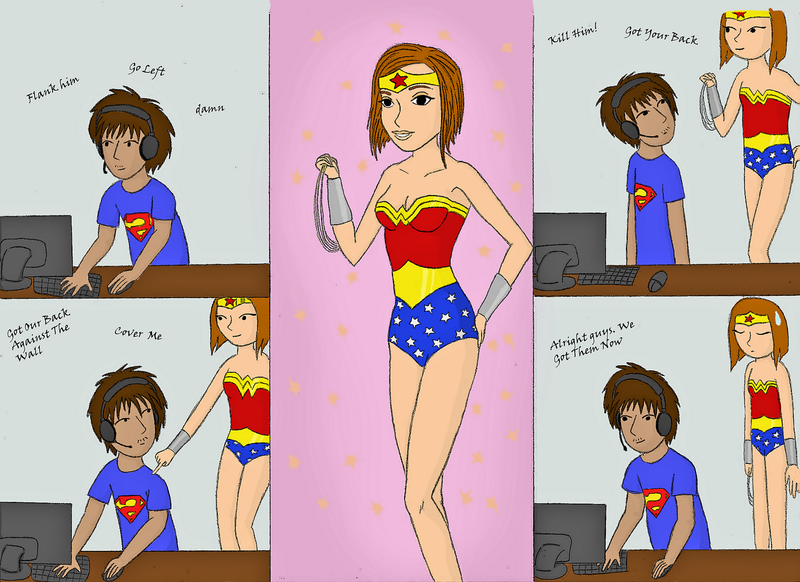 So to all you girls who date a gamer out there: you are not alone. Blagh, how did she get out, don't worry, I've distracted her with cartoons and she is back in drawing mode. Aaron here. This one has two noticeable mistakes, but hopefully you shall forgive us, we are new to this. As I write this we are starting the first 'long story' of What About Cynics, a tale of swashbuckling, adventure, and Milk. Possibly. Hopefully. Until we eventually argue out the details, take this as an update. We are still on the air. And yeah, it is mine and Helene's two year anniversary, basically of knowing each other, how terrible. Oh, and this is technically are 11th, but whatever, we are in double digits! Go team! Happy 2yr anniversary to you both! Hope there are many more. Why thank you, and good work on a speedy response. Perhaps the follow system actually works. Who knew.